An alliance of Syrian opposition forces have decided to take part in internationally-brokered peace talks aimed at ending the Syrian crisis. 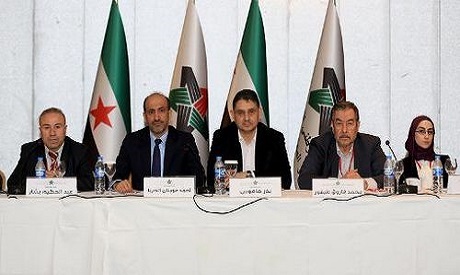 The National Coalition for Syrian Revolutionary and Opposition Forces (NCSROF) met in Istanbul on Saturday and voted to attend the peace talks, ending a prolonged debate over the group’s participation that has led to the conference being delayed twice since June. In May, Russia and the United States announced plans to organize a conference dubbed Geneva-2 that would bring warring sides to the negotiating table and ideally close the lid on a dire situation that has left 130,000 dead in nearly three years. Plans were suspended in June, and again in November. The current talks are now slated for 22 January and will open in Montreux, Switzerland. The summit is set to convene despite the risk of angering many opposition members who have either favoured non-participation or claimed misrepresentation. Opaque and contentious, the conference agenda could threaten the very viability of the talks. In the weeks leading up to Saturday’s vote in Istanbul, some blocs within the deeply-divided and broader Syrian National Coalition (SNC) vehemently condemned attending the talks. The Syrian National Council, one of the coalition’s most influential blocs, refused participation on the grounds that “no international power has been willing so far to actively force the Assad regime to stop its barbaric killings of the Syrian People,” SNC member Obeida Nahas told Ahram Online. Large parts of the opposition are opposed to attending the summits, said Yezid Sayigh, a Syria expert and senior associate at the Carnegie Middle East Centre, in a Skype interview with AO. Sayigh pointed to rebel groups on the ground like the Islamic Front, which have completely withdrawn their recognition of the opposition coalition. He added that other groups such as the Kurdish National Council (KNC), the umbrella group of several Kurdish parties, and the Syria-based National Coordination Body for Democratic Change (NCBDC) are not opposed to attending, but do not wish to come under the National Coalition’s umbrella. The UN along with the two states spearheading the talks — the United States and Russia — have stipulated that the opposition form under or be represented by a single delegation in the talks, thereby partnering internal oppositional groups with the exiled coalition. In response, the NCBDC withdrew their attendance from the talks on 15 January, according to AFP, citing an imbalanced representation and lack of seriousness. Syrian Kurds, the biggest ethnic minority in the country, are similarly not allowed to have their own independent delegation. “The US and the west impose the SNC upon Syrians as their sole representative,” said Mutlu Civiroglu, a Washington-based journalist and Kurdish affairs analyst, speaking with AO for this article. “The fact that the SNC has been dogged by infighting and a lack of real influence inside Syria is problematic, and will likely not bring any solution to the problems of Syria, including Kurds,” Civiroglu added. Kurdish discontent has spurred three “Twitterstorms” demanding Kurdish representation at the Geneva conference, Mark Campbell, a pro- Kurdish rights campaigner, said in an email to AO. He, along with other Kurdish activists and campaigners, began the Twitter hashtag #KurdsToGeneva2 which soon spiralled into an outpouring of Kurdish discontent over why they were not invited and who would be chosen to go to the summit. Al-Monitor reported that on 18 January, the SNC decided that the only Kurdish representatives at the conference will be members of the Kurdish council’s foreign relations committee. This might exclude key figures like Salih Muslim, leader of the pro-Kurdish Democratic Union Party (PYD). Campbell said that Kurds in north and northeastern Kurdish Syria, an area also known as Rojava, view Muslim as their international leader and representative. Campbell suggests that the People’s Council of Western Kurdistan (PCWK) as well as the military forces on the ground in Rojava should be added to the non-materialized list of attendees. 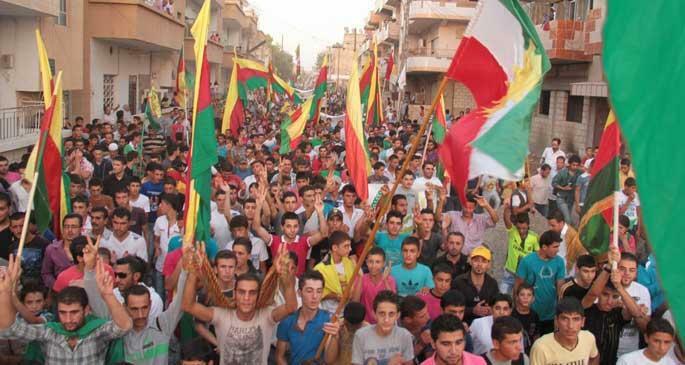 Many KNC members are sceptical about the coalition’s sincerity towards pressing ahead with Kurdish demands, the top of which is Kurdish autonomy, Civiroglu adds. 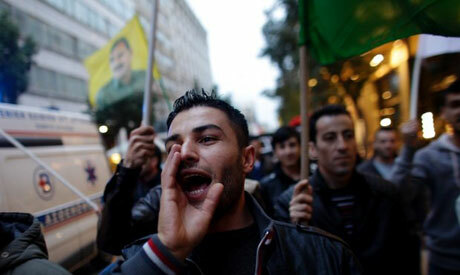 Much like the main opposition, a major Kurdish demand is the stepping down of incumbent Syrian President Bashar Assad. Others include drafting a new constitution based on the principle of ethnic plurality, the abolition of racial laws which target the ethnic group and the advancement of political decentralization and self-rule. Geneva-1 agreement: a basis for talks? The talks in January are expected to use a previous agreement, known as Geneva-1, as the main framework for negotiations. However, the stipulations of the Geneva-1 meeting have been hotly disputed since it was held last June. Although concluding with an agreement for the formation of a transitional government and the implementation of a future truce, neither of these things have come to light since then. Radwan Ziadeh, executive director of the Syrian Centre for Political and Strategic Studies (SCPSS), told AO that he thinks the main aim of the talks in January should be putting into effect Geneva-1, namely setting up a main body for the transition process, releasing political prisoners and opening humanitarian corridors. Seeing Assad go is a prerequisite of a large majority of the opposition. Having the upcoming conference focus only on Geneva-1, then, which offers a solution of transition rather than explicit removal, explains why many opposition groups are defiantly refusing to attend the conference in Switzerland. “The SNC is very sceptical that any outcomes of the Geneva-2 conference will be enforced,” Nahas continued. Similar to Saturday’s meeting in Istanbul, nearly 200 Syrian opposition fighters met recently in Cordova, Spain, to flesh out a unified opposition stance to present to the international community, according to an Ahram-Weekly article by the Syrian journalist Bassel Oudat. Assad’s removal and the trail of his henchmen were heavily pressed at the meeting. Sayigh, the Syria expert at Carnegie, foresees that the Geneva-1 agreement will fail to garner enough support in the absence of a proper debate on the transitional process. In the absence of a strong and dynamic opposition, Sayigh said, the talks will likely digress into agreeing upon “confidence-building measures” like humanitarian aid and ceasefires, instead of finding thorough political solutions. In fact, to jumpstart peace talks, Syrian Foreign Minister Walid al-Moualem handed proposals to Moscow on Friday regarding a ceasefire in Aleppo and an offer for a prisoner swap. US Secretary of State John Kerry claimed the efforts to be a diversionary ploy ahead of the talks. “Nobody is going to be fooled,” Kerry said, according to AFP. Nahas is worried about the fact that the regime is still behaving like a juggernaut after nearly three years. Also worrying is the opposition’s distrust of major players in the peace process. Syria has lost most of its national independence because Assad has pursued a policy of “crushing people” rather than reform and democracy, he said. Such a policy, he argues, has allowed Iran and Hezbollah forces to occupy Syria, which has further complicated future political dialogue and resolution. Perhaps most distressing is the opposition, though, which is becoming increasingly isolated diplomatically. It has some international support, he says, especially through the Friends of Syria Group, a diplomatic collective which was formed after Russia and China’s repeated vetoes of UN Security Council resolutions. “But its trust in others is minimal,” he said. A hashtag calling for a Kurdish delegation at next week’s peace talks became the top trend on Twitter on Thursday and early Friday. UNITED NATIONS (TRNS) – Activists frustrated with the marginalization of Syrian Kurdish delegates at the upcoming Geneva II peace talks took to Twitter this week, briefly making “#KurdsMustBeInGeneva2″ the number one trending topic worldwide on the social network. In recent months, Syrian Kurds have engaged in fierce battles with both Assad forces and, increasingly, extremist opposition groups such as Jabhat al-Nusra and the al-Qaeda affiliated Islamic State of Iraq and the Levant, in an effort to retain control over their ethnic homeland. But instead of being invited to the Geneva II conference, Syria’s Kurds were asked to fold their delegation into the single opposition group that was designed to feature the Istanbul-based Syrian National Coalition (SNC). Civiroglu described Syrian Kurdistan’s diverse government as a model of compromise for the war-torn country, a vision not articulated by the Assad government, the politically isolated SNC, or the wide array of Islamic militants flooding the battlefield. While 2013 saw a sharp increase in attacks against religious minorities, including Syria’s Christian population, Civiroglu stressed that Syrian Kurdistan was not characterized by such violence. With the National Coordination Body (NCB)’s decision on Thursday to skip Geneva II, the very presence of any meaningful opposition groups at the peace conference appears to hinge on the SNC’s decision. But regardless of the SNC’s final vote on attending Geneva II, the group remains plagued by internal disagreement, drawing into question its political influence and relevance to combatants. “Meanwhile, the real power on the ground is not recognized.” Civiroglu said.